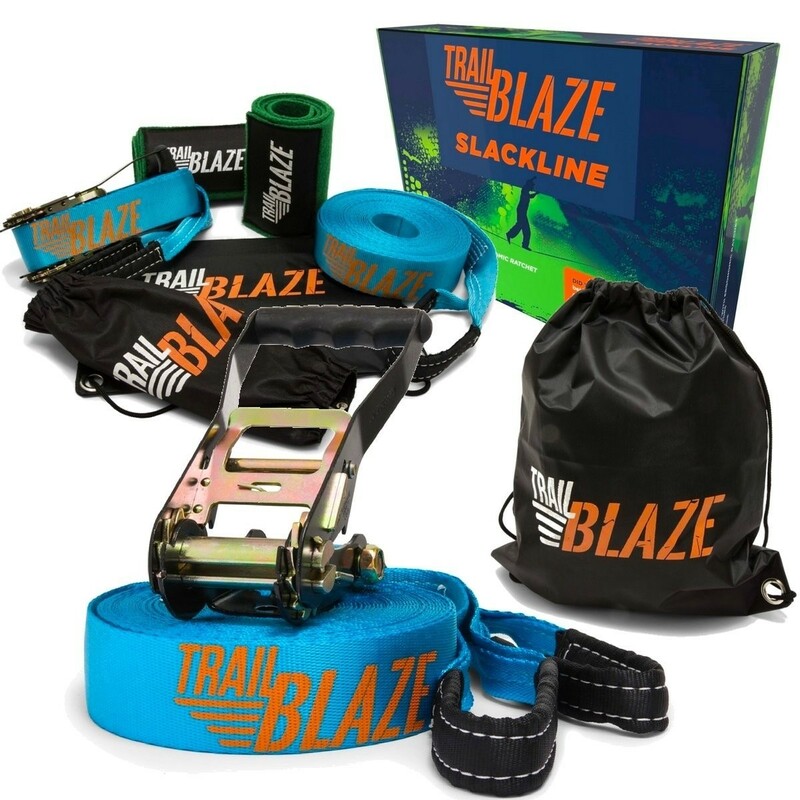 Turn any environment into a playground with this kit from Trailblaze that's perfect for kids to adults, beginners to experts! 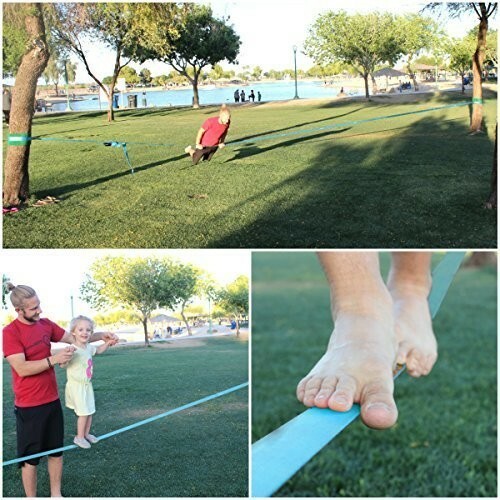 This 50-foot slackline has a 5T break load, so it can safely carry up to 300 pounds. An ergonomic ratchet makes it easy to tighten, while two 40-inch tree protectors ensure that you don't damage the bark. Set-up takes under 10 minutes, and when you're done, pack it all up in the handy storage bag. This strong, secure, and durable slackline kit comes with a lifetime warranty.